Le Bon Marché above by Bluette Meloney. 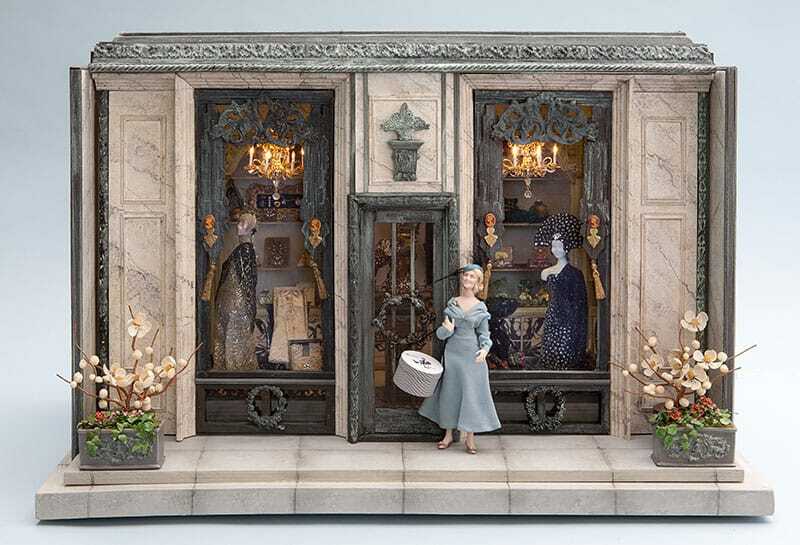 Just one of the many room boxes this most talented miniature artist creates and sells from her website. Various places to find room boxes, vignettes, window boxes and dollhouses. *Some sites listed have been done so without payment or exchange of links back here to my site. These are just sites to artists who's work I or others who sent them my way love. Please report broken links to me. It only takes a tiny moment of your time and you may be rewarded big for your efforts. The Enchanted Woodland Faery Dollhouse Co.